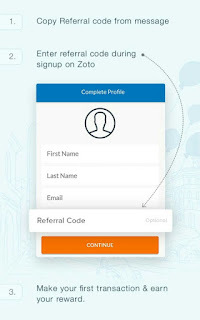 Zoto is a mobile app which lets you recharge your line right from your bank account using your mobile phone. Although this app has been around for sometime now, it hasn't really been has popular as you would have expected it to be. And that is the main reason why they are introducing some crazy offers you just can't ignore. So if you are the type that probably calls a lot or you just want to get the best value for your money then this post might be very helpful. 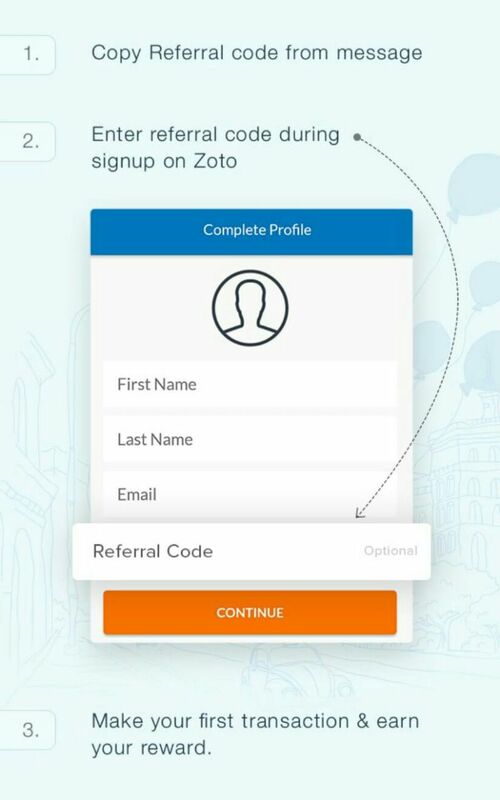 With the zoto app, you get instant 50% bonus on your recharge and you also get N1,000 free credit more whenever you invite your friends . How To Use The Zoto App. ==> Download the Zoto App from this LINK. ==> Launch the app and fill in the registration details. ** Use RIDW2594 as the referral code. 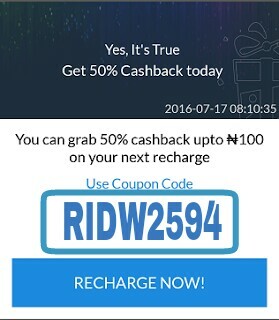 ==> Recharge your line via the app with at least N100 worth of airtime and you will be instantly rewarded with N1000 which you can also cash out as airtime immediately. Quick tip: to get the 50% bonus, always recharge with a coupon code. ==> To get more bonus, all you have to do is to invite more people. To join the WhatsApp group, just drop your phone No in the comment box.